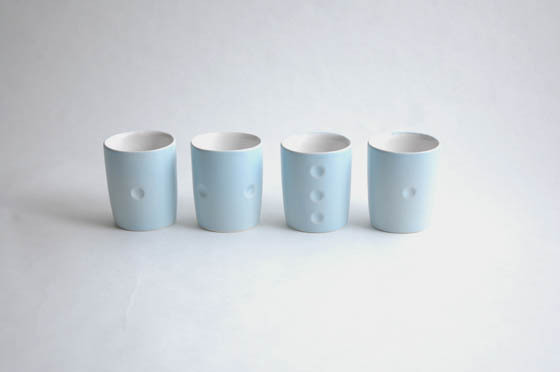 The mug, plates, sauciére, souce dish shot glasses can stand alone as gifts, or as a set of any number. 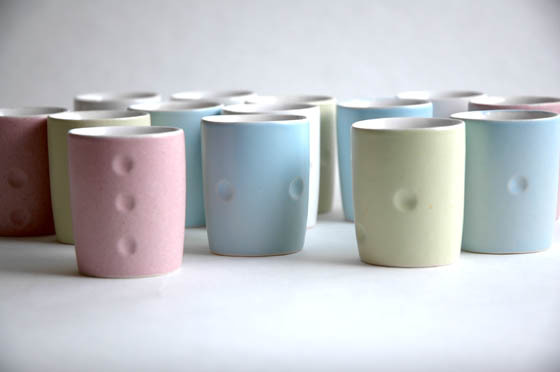 The function of each piece is related to our modern culture of eating. The design attitude of this collection is to make no commitment to a table service – the characters of the items are patterned on the rhythm of contemporary, everyday life. The functional design of each and every piece is formed by slices taken from elliptical and spherical shapes, and their sometimes distorted positive and negative imprints. The SAUCE DISH is a harmony of negative-positive spherical sections, for serving various dips and souces. 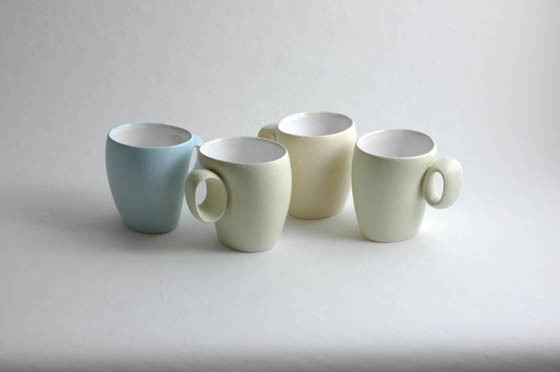 The small run series is made of porcelain and can be finished in a variety of colours and galzes. The molds are produced from hand carved and polished prototype.